Joe Garcia loved music, especially jazz, and played woodwinds and clarinet. In the spring of 1947 when Jerry was four, his brother Tiff accidentally chopped off a large part of Jerry’s middle right finger. Later that year, Joe Garcia drowned while on a fishing trip. Jerry and brother Tiff moved in with Bobbie’s parents, Tillie and William Clifford. While living with them the boys enjoyed great autonomy. It was also during this time that Jerry’s third grade teacher encouraged the artistic side of Jerry. Jerry started to play the banjo. In the early 50s, like so many other young Americans, Jerry discovers early rock ‘n’ roll: Chuck Berry, Ray Charles, BB King, and others. In 1957 for his fifteenth birthday, his mother and step-father gave Jerry an accordion. Not what he wanted, he complained until they exchanged the accordion for an electric guitar. He joined the Army in April, 1960, but the Army and he realized they were incompatible. He left that December. In 1961, Jerry met a couple of people who would have a big impact on his future: Robert Hunter and David Nelson. In early 1962 Jerry met Ron “Pigpen” McKernan, Bill Kreutzmann, Phil Lesh, and, in December, Bob Weir. Jerry continued to play and by 1964 Jerry, Pigpen, and Weir form Mother McCree’s Uptown Jug Champions (with Dave Parker, Tom Stone, and Dave Garbett). 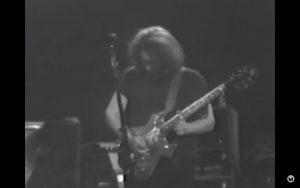 In 1965, Phil Lesh and Bill Kreutzmann joined Jerry, Pigpen, and Bob to form The Warlocks. Their first show is at Magoo’s Pizza in Menlo Park, CA. In December, The Warlocks changed their name to Grateful Dead and performed their first of many shows as the house band at a Ken Kesey Acid Test in San Jose, CA. . Garcia was 23; Lesh, 25; Pigpen, 20; Weir, 18; and Kreutzmann, 19. The Grateful Dead would play over 2300 shows until their last on July 9, 1995, at Chicago’s Soldier Field. 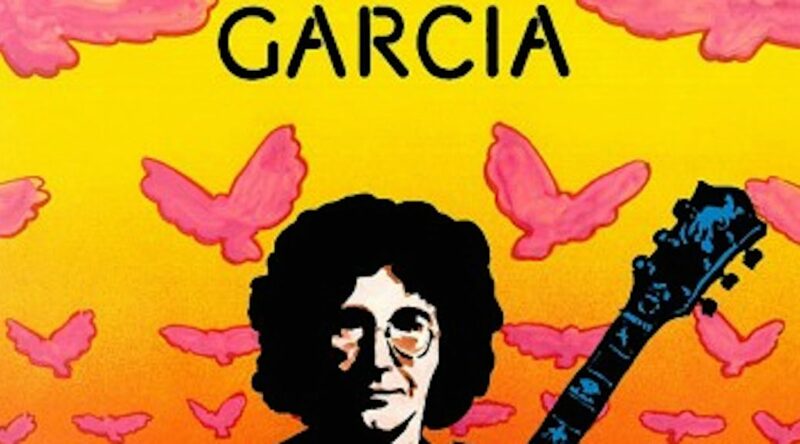 A month later, on August 9, 1995 Jerry Garcia died. Over his life, Jerry Garcia was addicted to several things. Luckily for us, one of those addictions was music. In addition to the 2300 Dead shows, Jerry seemingly played continuously with his own band (Legion of Mary, Jerry Garcia and David Grisman, Jerry Garcia and Friends, Jerry Garcia Band, and many more) or sat in with other bands (Mickey and the Heartbeats, New Riders of the Purple Sage, and many more). Happy birthday Jerry. We thank you for your eternal music.